Red Hat Single Sign-On is part of the Red Hat Middleware Core Services Collections (formerly called Red Hat JBoss Core Services Collection), and this means it is shipped and supported with OpenShift and most products of the Red Hat middleware portfolio. If you are already using those products in your company, chances are you can already use and deploy Red Hat Single Sign-On. Alternatively, as a developer, you can also try Red Hat Single Sign-On through a developer subscription at no cost. If you already have a developer account, go to developers.redhat.com, click “Log in” in the upper right corner, and log in. If you don’t already have a developer subscription, go to developers.redhat.com/register and create your account. 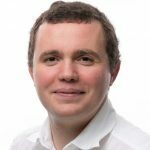 Give the token a name (for the rest of this article, we will use “sso”) and a meaningful description. Click “Create” and the generated token is displayed. Save the username and the token in a safe place for future reference. 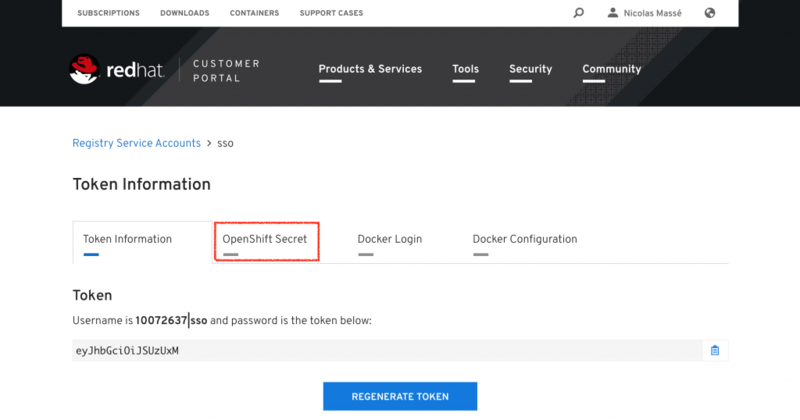 Click the “OpenShift Secret” tab and then “sso-secret.yaml” to download your token in a format OpenShift will understand. Save it somewhere convenient for later use. 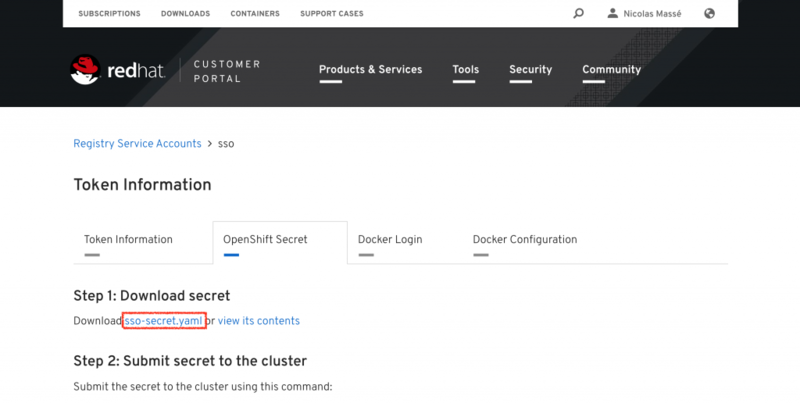 To install Red Hat Single Sign-On, you will need an OpenShift instance. If your company has one, use it. If not, I would recommend using Red Hat Container Development Kit (CDK)/minishift. Minishift is an OpenShift installation targeted at developers that runs on your laptop. If you need to install CDK/minishift, see these instructions. You can now deploy Red Hat Single Sign-On 7.3 as explained in the documentation. Open this URL in your web browser and log in with the username and password you provided during installation (admin/password, in this example). Congratulations; you just installed Red Hat Single Sign-On! To get the most value out of Red Hat Single Sign-On, see the Server Administration Guide and the Securing Applications and Services Guide. You might also wish to read Using a public certificate with Red Hat Single Sign-On/Keycloak.